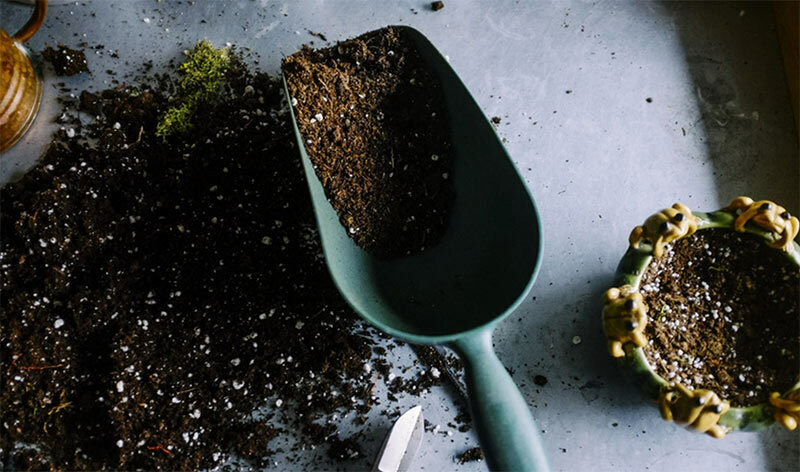 Category Archives for "Tool and Equipment"
If you are interested in adding some bananas in your small home garden, one of the important factors is the application of a fertilizer. 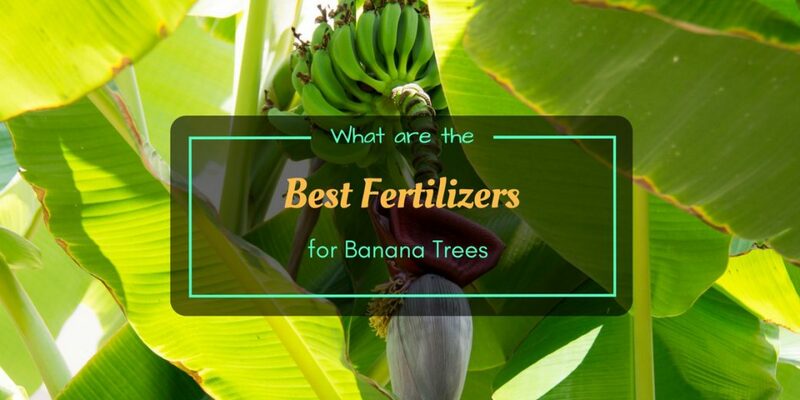 Through this post, we are going to focus on the best fertilizers for banana trees along with some basic facts that can help you grow them much easier and more productively. Bananas grow in tropical areas; hence, very common in Southeast Asia and Latin America. This tree has a decorative look almost similar to palm trees but only shorter and wider. It has large and oblong or elliptic leaves that unfurl once in a week during warm temperatures, extend upward and outward at the same time and grow for as 2 feet wide and 9 feet long. It blooms in slim, tubular, toothed white flower through the large, oval and tapering inflorescence shooting that comes out right from the heart, which is in the tip of the stem. Once there is an appearance of flowers, it means the fruits are coming out soon too. This indicates a nearly harvesting period, which makes gardeners very happy for sure. Interestingly, banana fruit comes in clusters called hands since they look like fingers in one hand. It is green at first then turns yellow and sometimes a little red which indicate ripeness. Of course, this is a great result when one of the best fertilizers for banana trees along with water has been used throughout the planting process. Soil is the number one key secret to an abundant harvest of bananas. It has to be planted in rich and well drained soil with a pH level of 5.5 or 6.5, which are both acidic. Bananas need plenty of water. 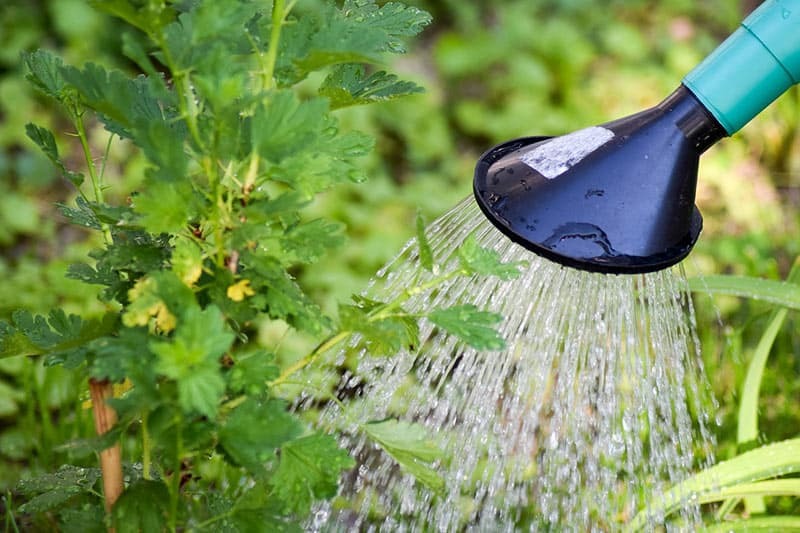 Since it grows in warm, humid weather, the soil quickly gets dry that’s why deep watering is a necessity. Do not just make it a regular habit to water the trees but also make sure every amount goes as deeply as it can. Be sure that you do not overwater as this can result to the decay of roots. Tip: Use an expandable hose to water bananas. Fertilizing bananas is an intensive and vital part of the growing process. This is most applied during the warmest temperature of the year. Experts suggest the use and application of a balanced fertilizer even just once in a month. There are absolutely several selections of fertilizers for banana trees but choose only one that is best for your banana variety. 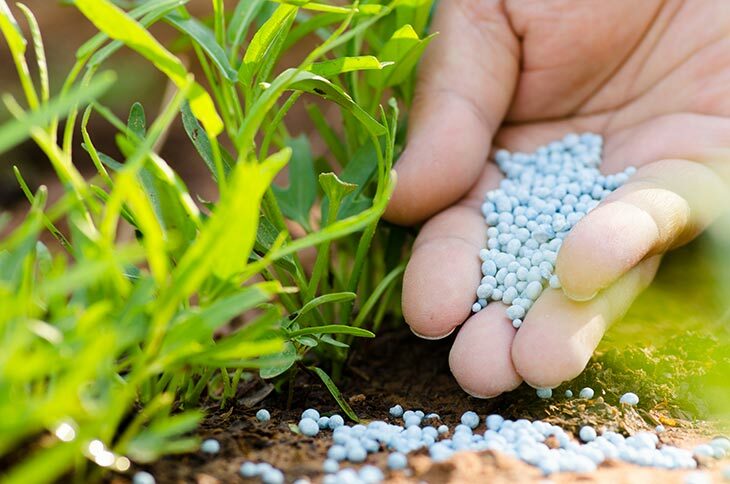 On average, the most recommended fertilizer has the ratio of 8:10:8 NPK (nitrogen-phosphorus-potassium). Once it has become mature, you may apply 1.5 or 2 pounds of this formula of fertilizer and only 1/3 of that amount for baby or young plants. Evenly spread the fertilizer to cover the nutrients needed but do not apply anywhere in the trunk. Basically, banana trees need nitrogen, phosphorus and potassium or otherwise known as NPK for fertilization. The higher the number is the more concentrated the nutrients are. You may test at first until you get the right formula depending on the plants need. In usual cases, nitrogen should be higher but if this seems inefficient, you can increase the amount of either potassium or phosphorus. You must know that bananas are considered heavy feeders meaning they need regular fertilization to become productive. This can be mixed with water or applied once the water has dried out to half an inch. There’s also what is called the multi-K fertilizer. This is one of the improved fertilizers for banana trees since it has more advantages than regular ones. The average rate of each nutrient which is 400 to 600 nitrogen, 200 to 300 phosphorus and 850 to 1100 potassium must be observed. Furthermore, nitrogen should be divided into different dressings, normally with the interval of 1 to 3 months or 2 to 4 weeks depending on the weather and temperature. You may also use potassium nitrate since it has both nitrogen and potassium but this has to be a ratio of 1:3. 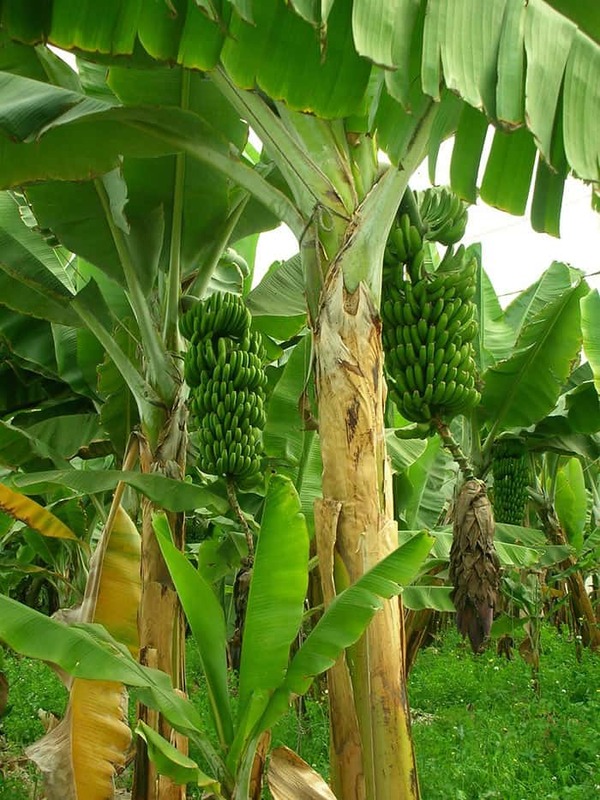 For phosphorus, it is not that much but still a required nutrient for banana to grow. On the other hand, potassium is as important as nitrogen. The lack of enough potassium can lead to the reduction of production of fruits and even growth. An indication of deficiency of this nutrient is when the leaves have orange and yellow chlorosis and ultimately die if not maintained immediately. There is also delay in the blooming of flowers and development of fruits. I remember a friend once saying, “two things scare me: cockroaches and nuclear apocalypse. Especially since the former may still be here despite the latter.” Truly, roaches have been here since times long forgotten and may probably still be here long after we’re gone. 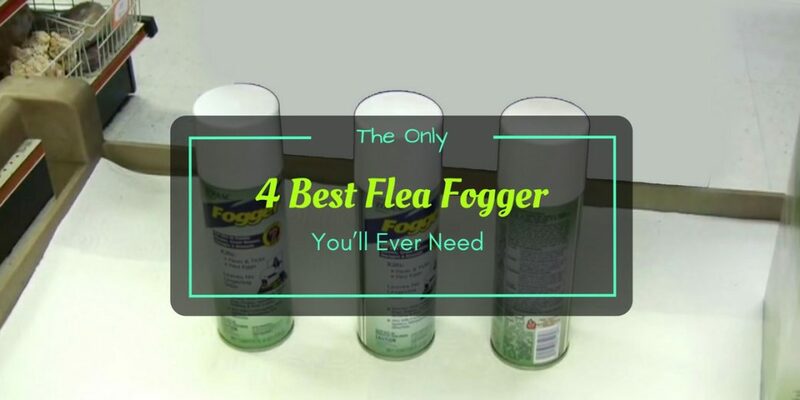 However, that doesn’t mean we can’t fight these pests to the best of our ability now! Bring the fight to the Roach's home with the best roach bait killer! 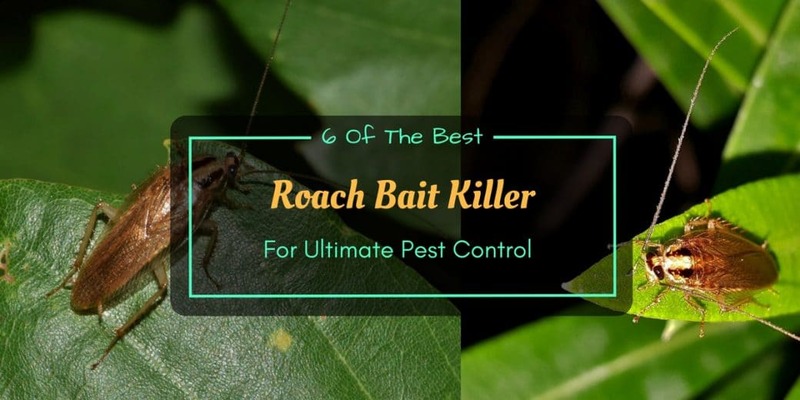 In this article, we’ll look into 6 of the best roach bait killer. Three of the products I’ve reviewed are tube gel baits while the other three are bait stations. Despite their differences, big or small, they’ve one main goal: kill roaches and annihilate them at the source, their nest. 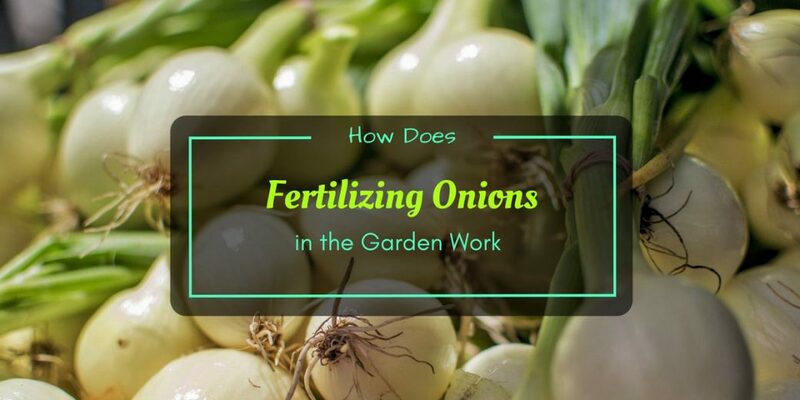 Is fertilizing onions in the garden or backyard a very important part of the growing process? The answer is absolutely yes. Onions are considered vegetable that belongs to the genus species. This bulb is very common in many types of cuisines from all over the world. The supply is categorically tremendous because of its versatile uses. There must be a continuous production in the commercial market but not only big companies and large area farm owners who can grow and produce them. Of course, you can too in your own backyard garden! 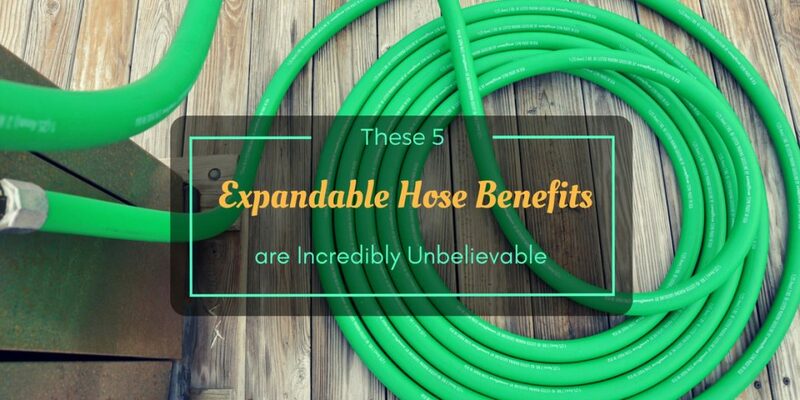 Gardeners should know the different expandable hose benefits before using one. This knowledge will allow them to make the best decision whether to use the traditional or expandable hose. It is also helpful in selecting the right type of expandable hose for their needs. An expandable hose is one of the newest available tools that make gardening much easier and less stressful. You can use this to water a spacious lawn, plenty of plant beds, and flowers on hanging pots.